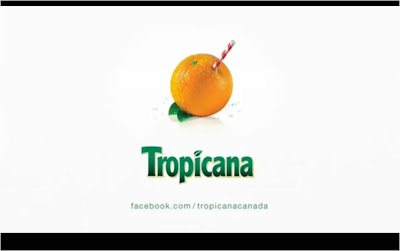 Tropicana also used a stunt to get people talking. Inuvik is a Canadian town of around 3,500 people situated 200km north of the Arctic Circle. This location means that in the depth of winter Inuvik lies in perpetual darkness for several weeks, however, in keeping with the idea of providing 'brighter mornings', Tropicana decided to brighten up Inuvik's day. Furthermore, Tropicana are supporting community based programs (Sir Alexander Mackenzie School, Tot Spot Daycare and the Inuvik Food Bank) and distributed 1,200 free cartons of Tropicana juice to local residents around the Arctic Sun stunt.